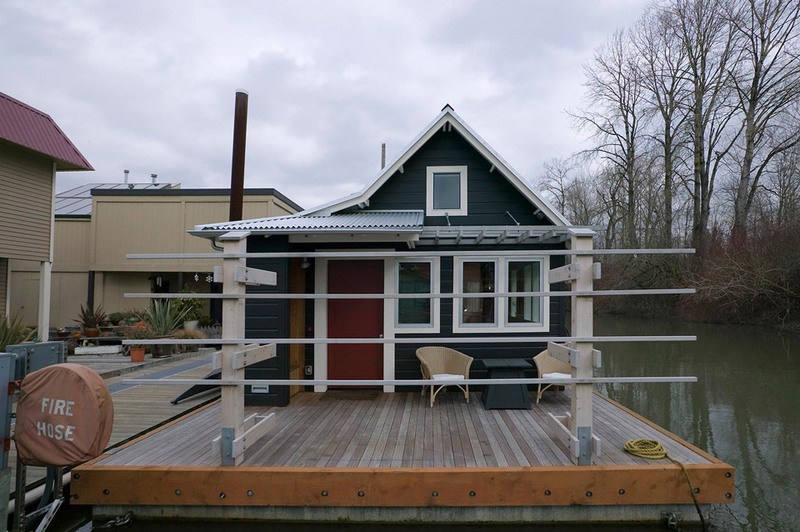 A 433 square feet floating home on The Willamette River in Portland, Oregon. 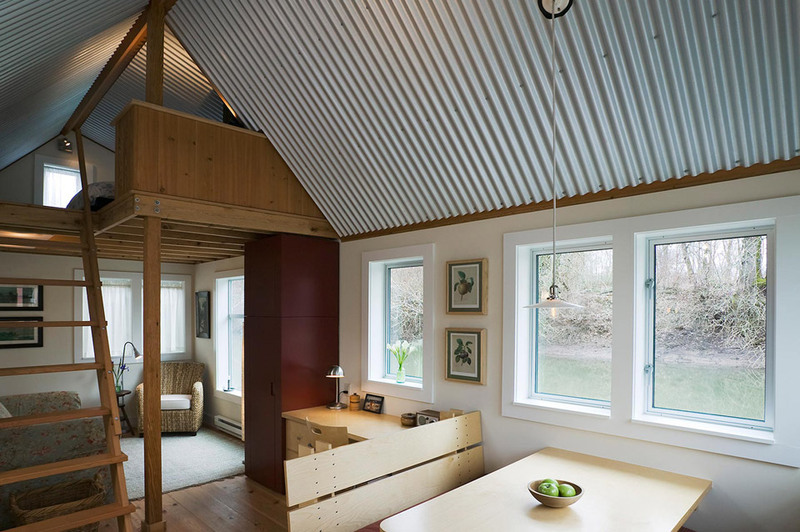 Designed by Studio Hamlet Architects. 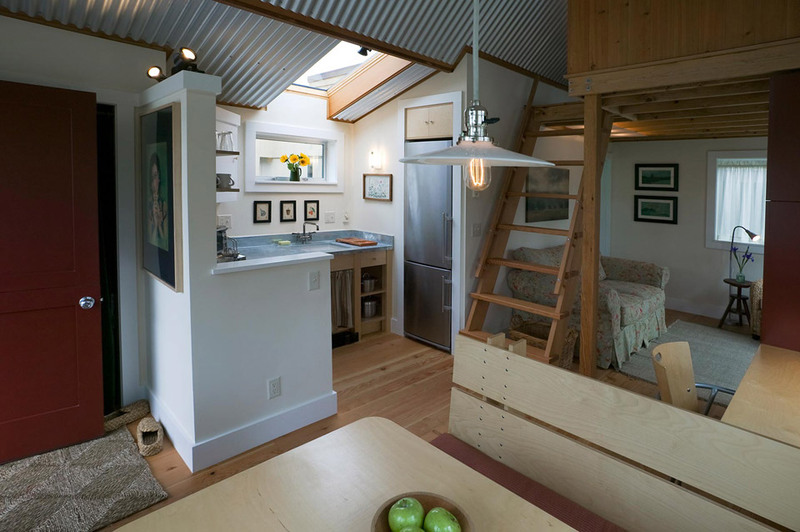 I love this design, it has adequate space, is very open with a good floor plan. 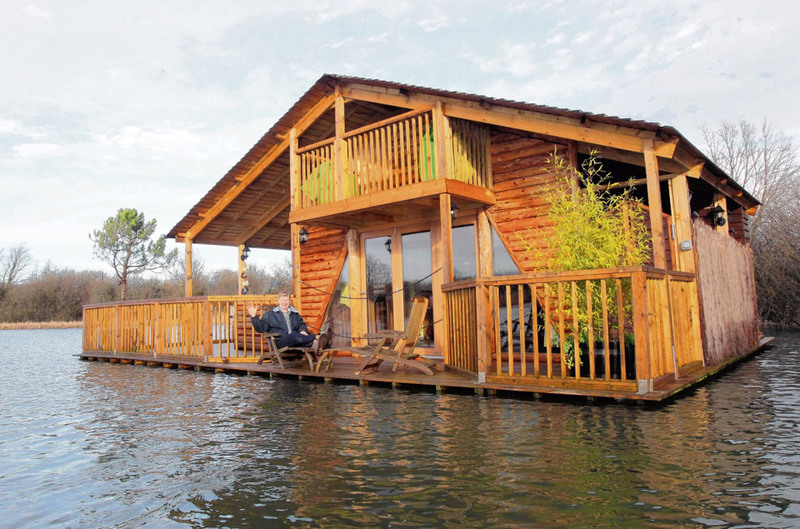 A couple of tweaks and I could see myself living there even if it was on dry land. 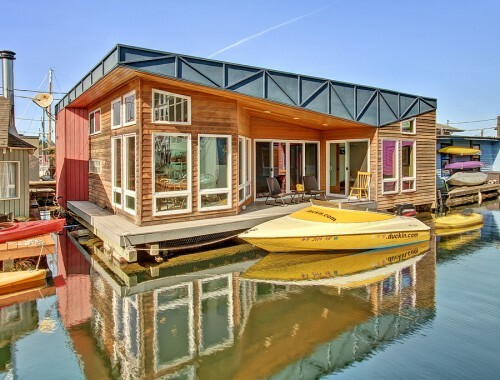 A charming small floating home that feels like it has more space than the square footage says. 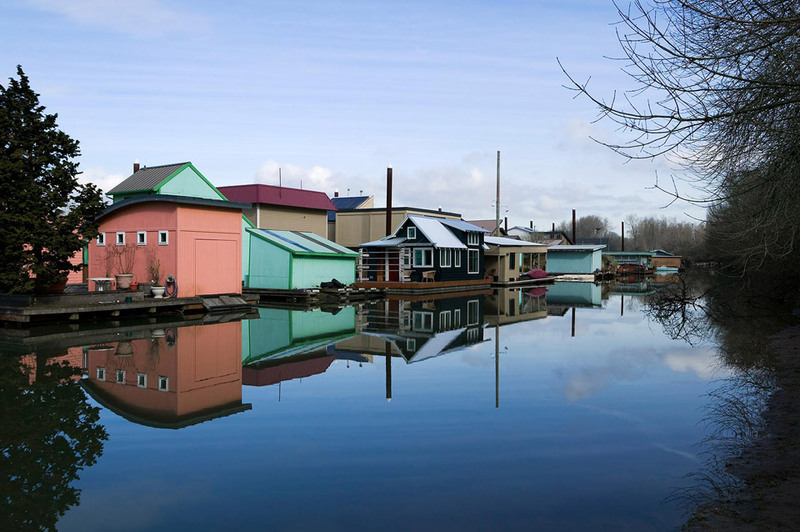 Very peaceful….brings back wonderful memories of growing up my teenage years on a floating home. I would love to live in a house like this but the local zoning boards don’t want this kind of housing so they have made it cost prohibitive. They want big houses for their construction industry and so they can charge big property taxes in support of their big public salaries. It’s a terribly rigged game and, once again, only the rich get to participate. Beautiful! Is it for sale? 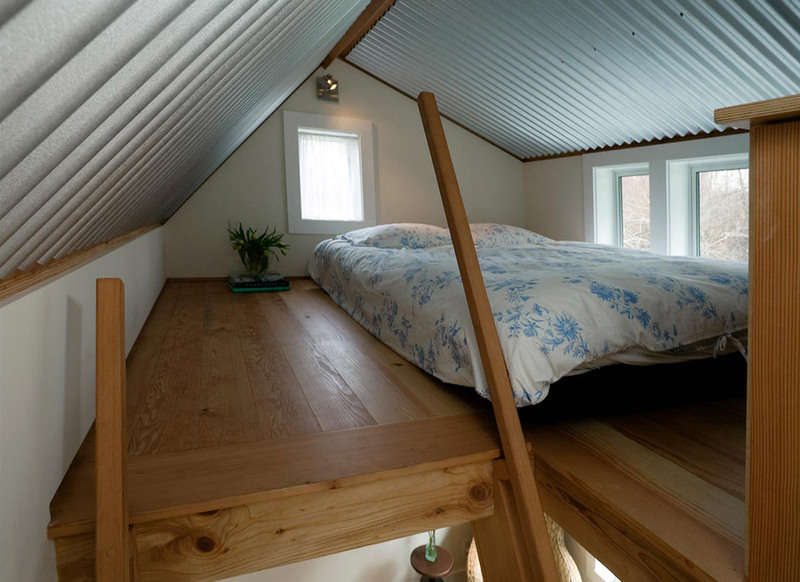 I like many of things in this design but the kitchen in my opinion is to small. 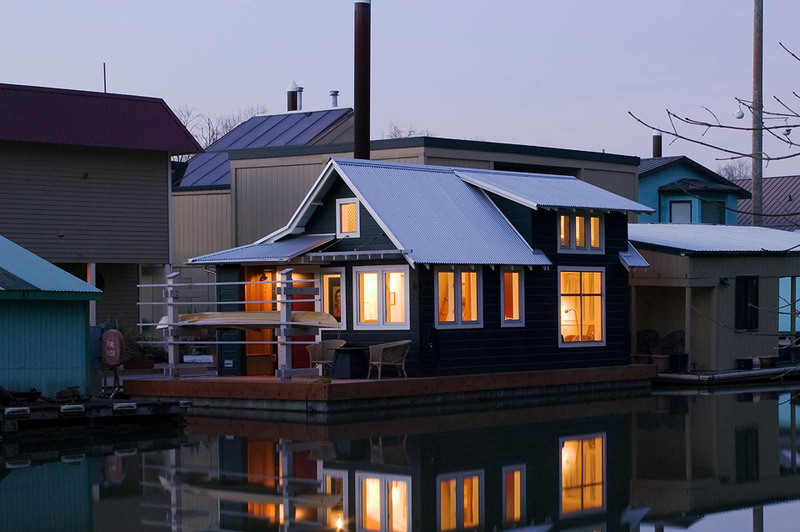 Just saw this house featured on Tiny House Hunting on the FYI network! The bathroom shower was the defining feature of this place! 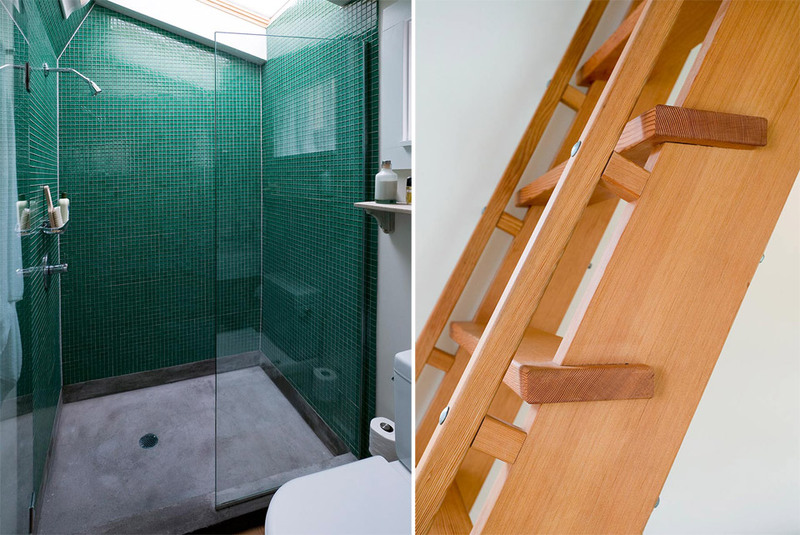 That shower, the ladder even, so many little things about this space show a loving attention to detail, material and spatial harmony. 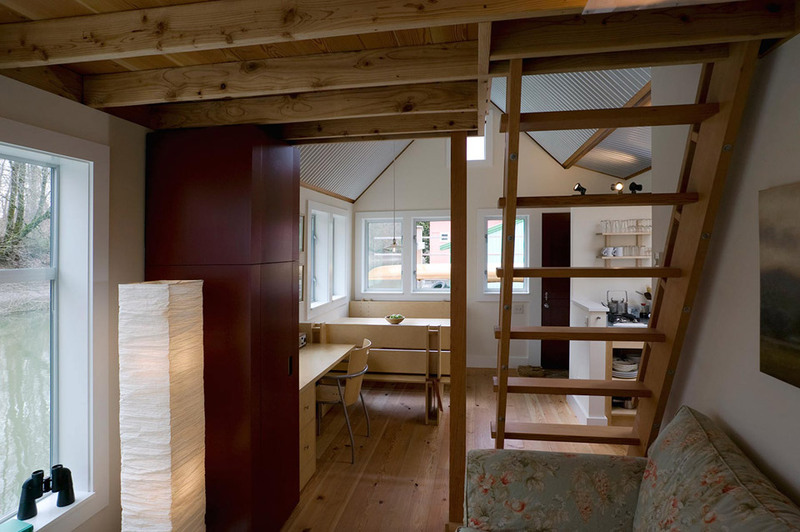 Orderly and unassuming its efficient open plan is cheerful and inviting to participation. 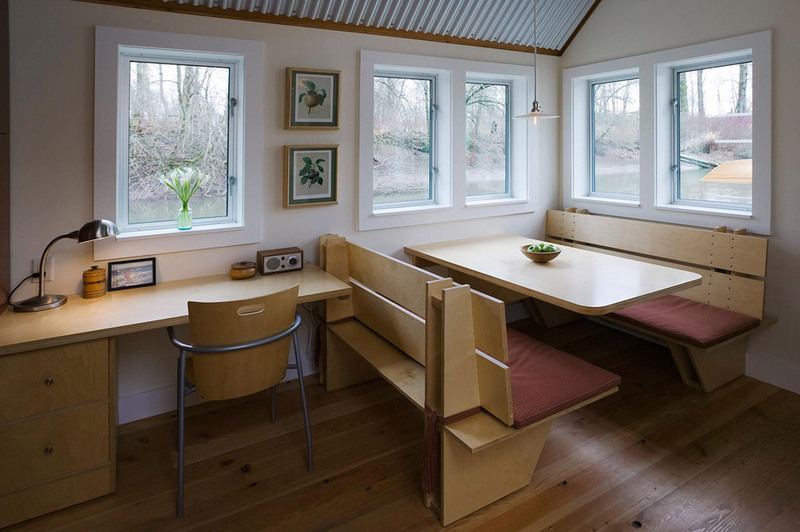 Personally, I’d make the desk area reflect the kitchen counter/top area and the eating nook would be more of an architectural built-in type banquette maybe with an interesting table. 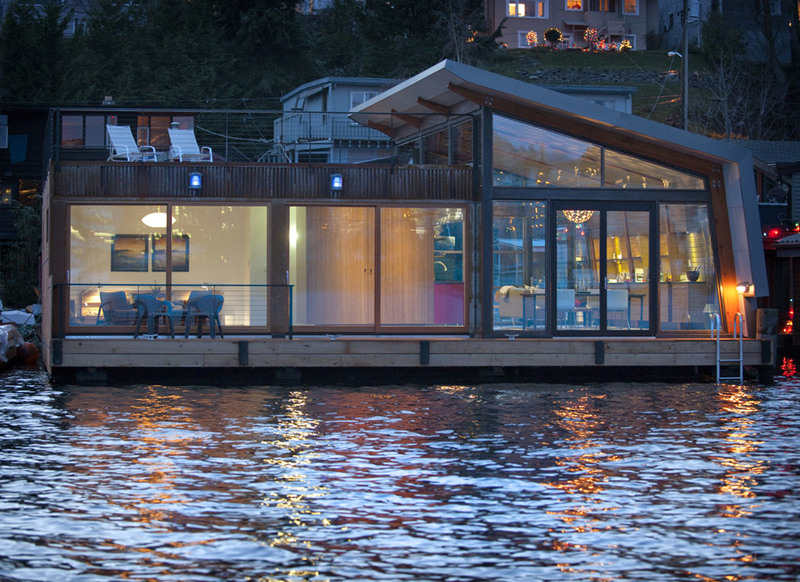 Easy, breezy, I never really saw myself in a houseboat… UNTIL NOW!